You don’t have to travel to the Caribbean to get a taste of sapphire waves. 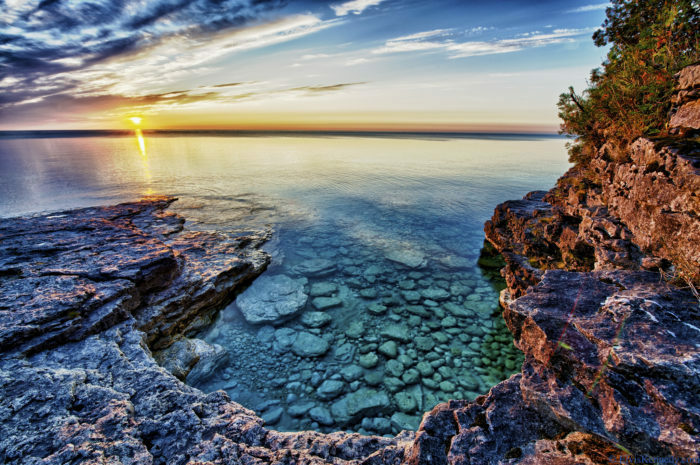 America is dotted with hidden spots that have an almost otherworldly beauty and absolutely pristine waters. Here are some of the most shockingly blue lakes you’ll ever see. Diablo Lake looks like something from another planet. 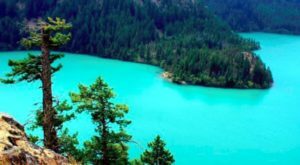 Located in the North Cascade Mountains of Washington, this lake gets its surreal coloring from a fine rock powder carried to the lake via creeks and suspended in its waters. 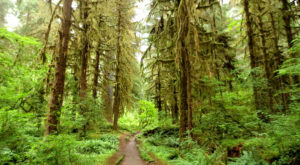 You can fish, camp, kayak and canoe here, as well as explore the myriad other beautiful spots in Ross Lake National Recreation Area. Click here for more information. 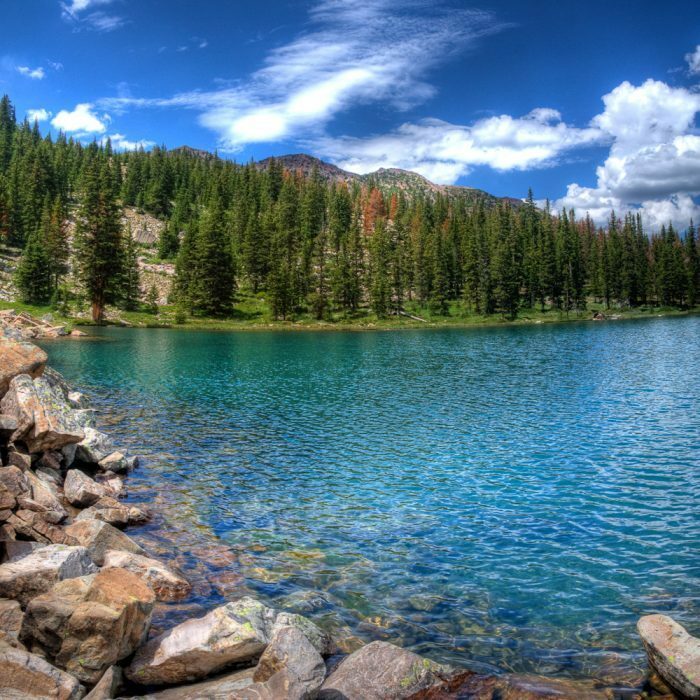 Amethyst Lake is located in the High Uintas and is one of the most gorgeous natural spots in Utah. 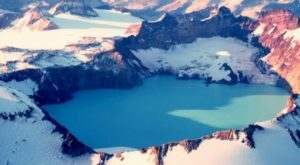 You can reach this stunning lake via a 12-mile out-and-back hike through flower-filled meadows and hilly terrain. The water is clear, chilly and sparkling. Click here for more information. As you might have gathered from the name, this lake is gorgeous but frigid. 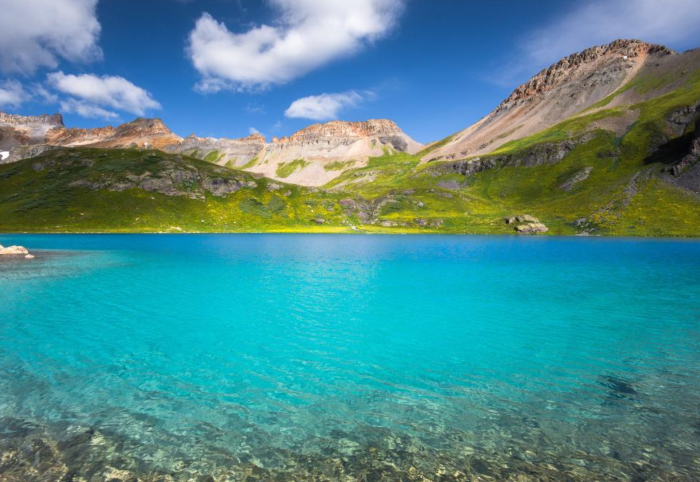 Located in the scenic San Juan Mountains of Colorado, Ice Lake is perched at nearly 14,000 feet and covered by snow nearly eight months out of the year. 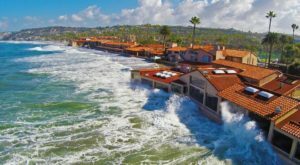 A summertime visit to this spot might be your best bet. Click here for more information. Sapphires come from underground, and that’s just where you’ll find these two startlingly blue lakes. Cosmic Cavern is located in in Berryville and is the largest privately owned show cave in Arkansas. It’s home to two crystal-clear underground lakes that are said to be bottomless. 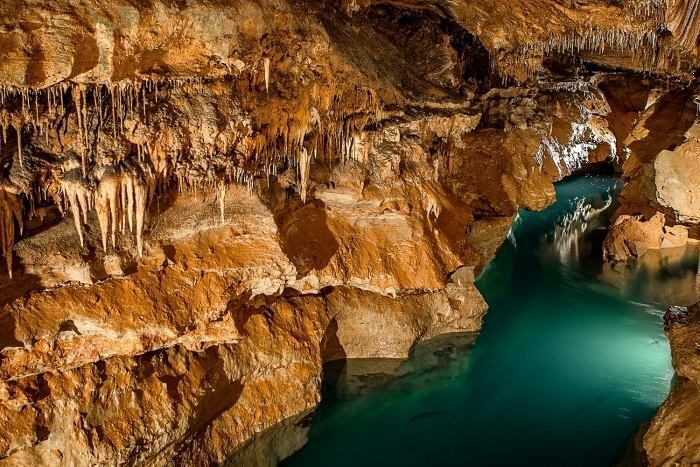 You can explore the cavern and check out South Lake on a one hour tour. Click here for more information. 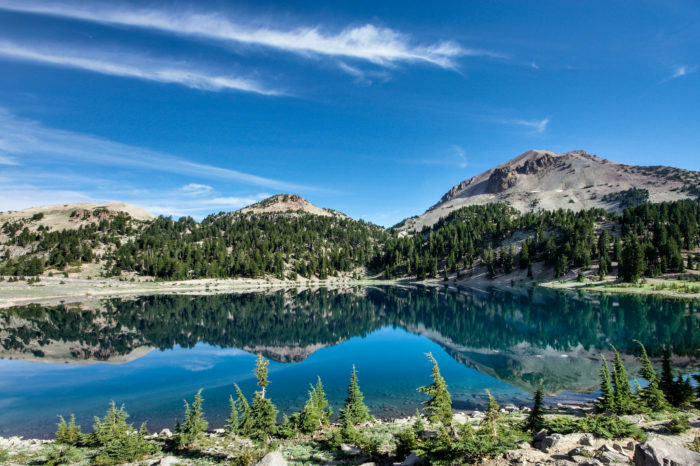 Lake Helen is a beautiful glacial lake located in Lassen Volcanic National Park. It’s fed by melting snow and has some of the most pristine, turquoise waters you’ll ever spy. 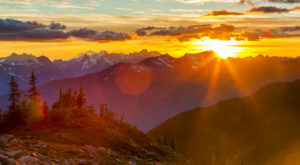 The lake has the unique mineral content of the surrounding terrain to thank for its stunning hue. Click here for more information. 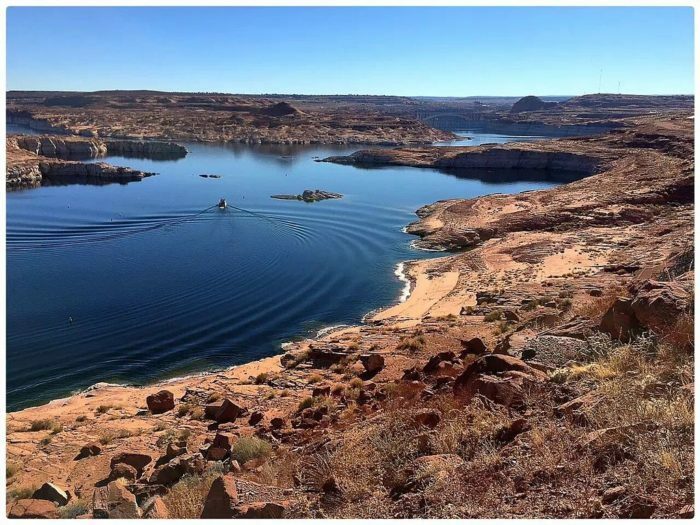 Head to Glen Canyon area in Arizona for a taste of one of the most celebrated lakes in the country. Lake Powell is known for being a popular vacation destination, due in no small part to how its startlingly blue waters are set off beautifully by the intense reds and yellows of the dramatic northern Arizona landscape. Click here for more information. Okay, so this lake is no secret. But it's hard to truly appreciate how "great" the Great Lakes really are until you're standing on their shores. 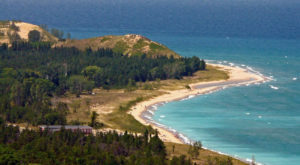 Lake Michigan has many moods, but on a clear day it can transform into something almost resembling a tropical pool. Click here for more information. 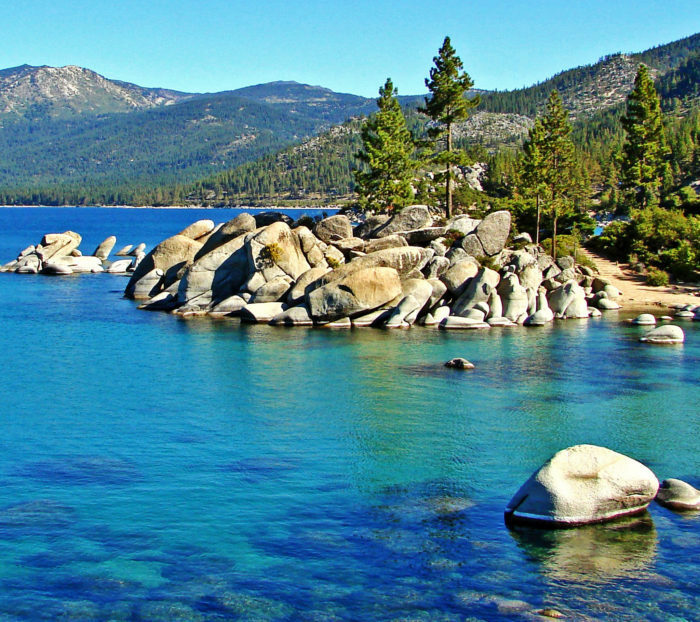 Lake Tahoe is the highest alpine lake in the country and sits at a staggering 6,225 feet above sea level. 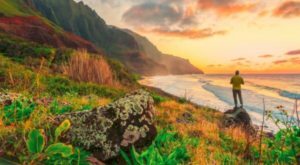 Its colorful waters and beautiful shoreline draw thousands of visitors a year, but the foot and boat traffic hasn’t done anything to dampen the splendor of this magnificent natural spot. Click here for more information. 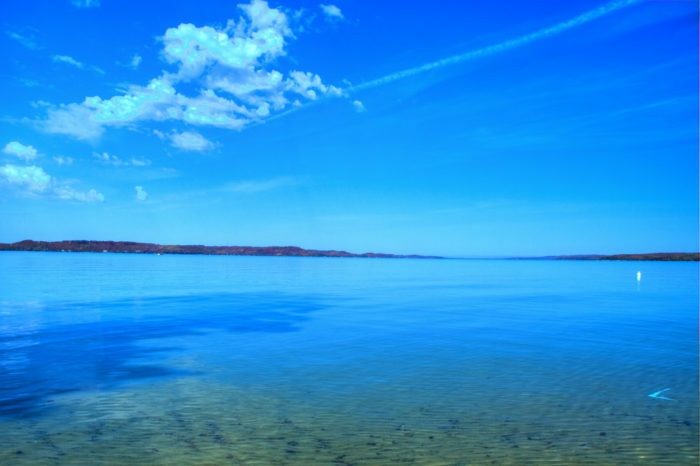 Torch Lake is spread over Antrim and Kalkaska counties and is a great alternative to the famed Great Lakes. With pure, cool waters that will surround you in Caribbean blue, it'll be a real struggle to pull yourself away from this spot. Click here for more information. 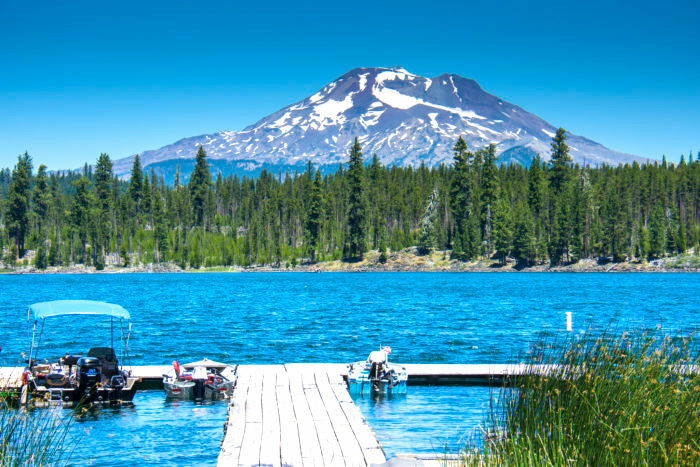 Lava Lake is located in Oregon’s Deschutes National Forest and rimmed by a volcano. 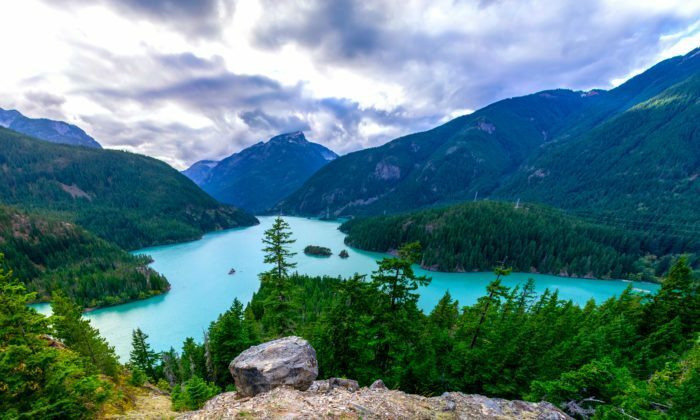 If that unforgettable setting isn’t enough to inspire a visit, the lake’s waters are a clear cerulean that stands out beautifully against the snow-capped peaks in the distance. Click here for more information. 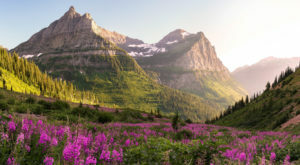 For more of the most unforgettable scenery in America, check out these 18 dazzling mountain views that will leave you breathless. Massachusetts native. Freelance writer and strawberry eater. Visit here or get in touch: [email protected]urstate.com.